The Miedema (2014) model based on a normal stress distribution, with a Televantos factor of 2 for the bed shear stress and including the Pugh & Wilson (1999) equations for sheet flow. 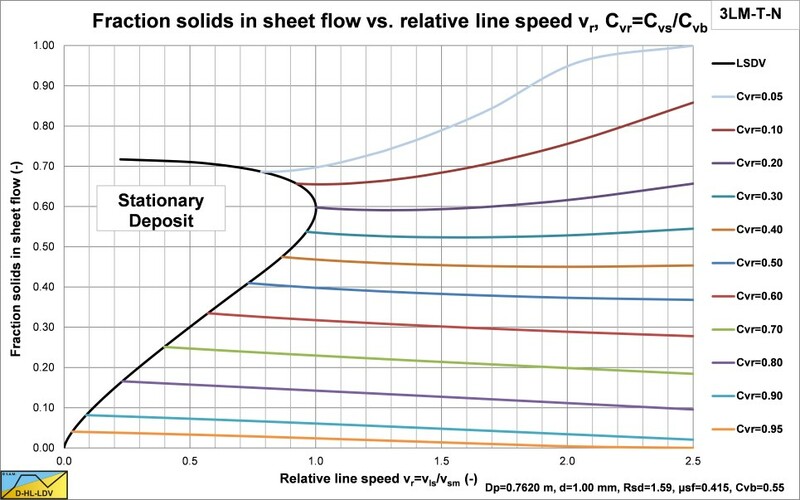 Miedema, S.A. & Matousek V., “An explicit formulation for the Darcy-Weisbach friction factor of sheet flow”. 15th International Freight Pipeline Society Symposium 2014. 24-26 June 2014, Prague, Czech Republic. 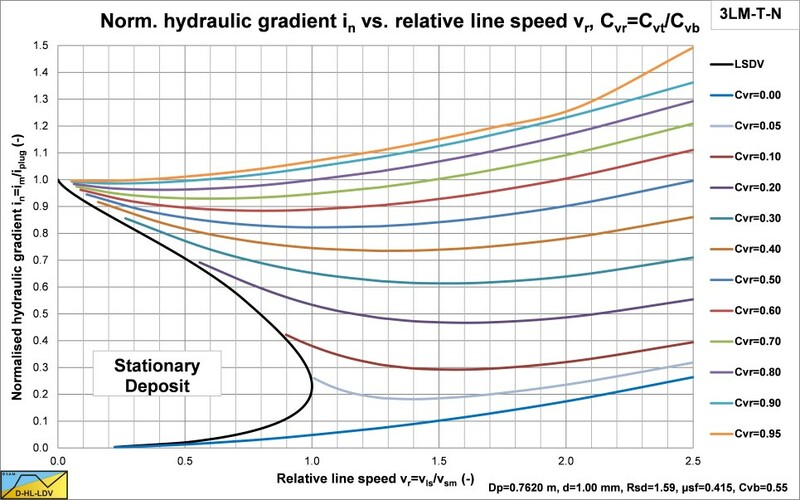 The hydraulic gradient versus the line speed. 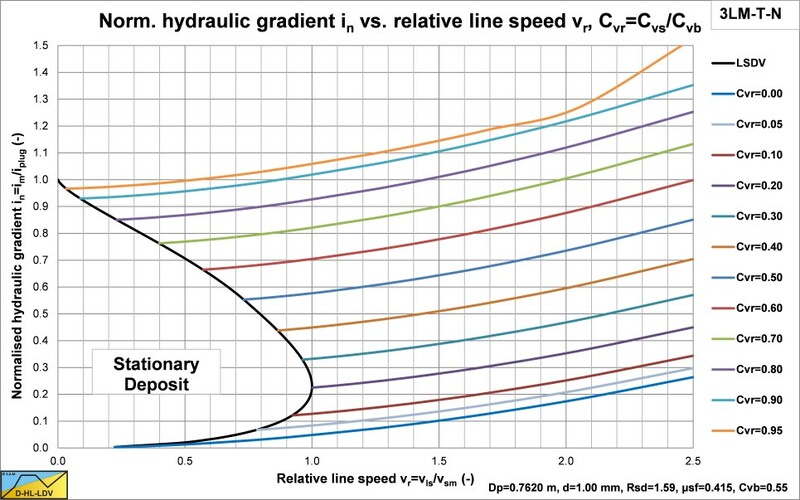 The normalised hydraulic gradient versus the relative line speed. The hydraulic gradient is normalised by dividing by the hydraulic plug gradient. 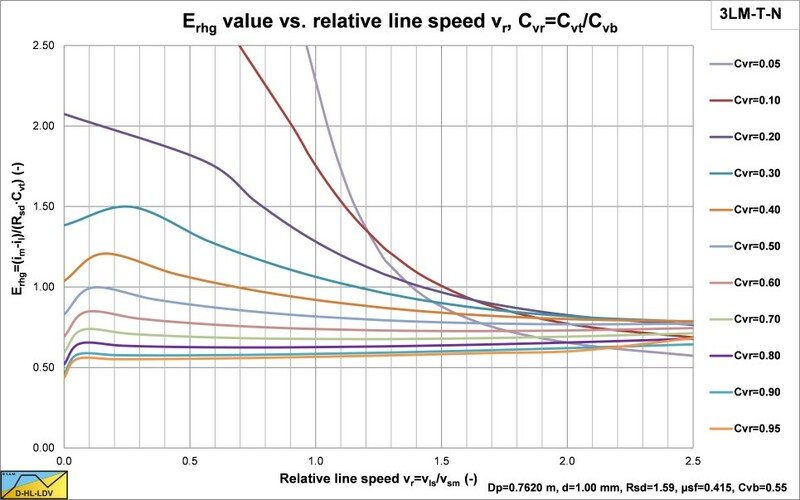 The line speed is relative by dividing by the maximum limit deposit velocity. 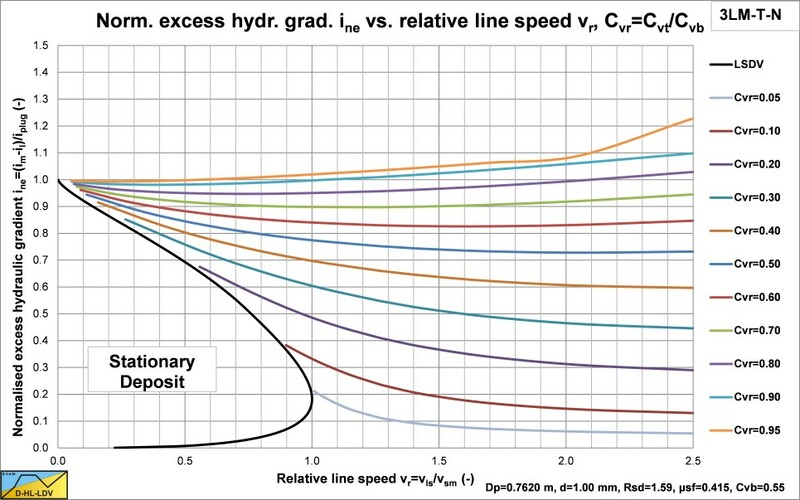 The relative excess hydraulic gradient versus the relative line speed. 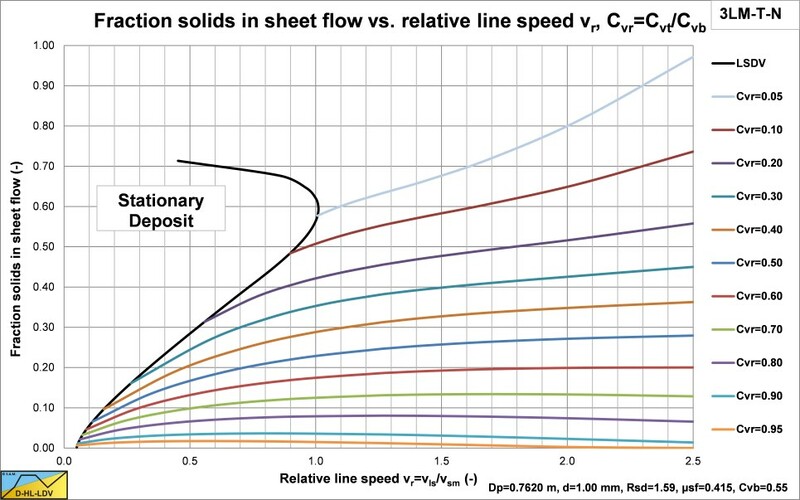 The fraction of solids in the sheet flow layer versus the relative line speed. 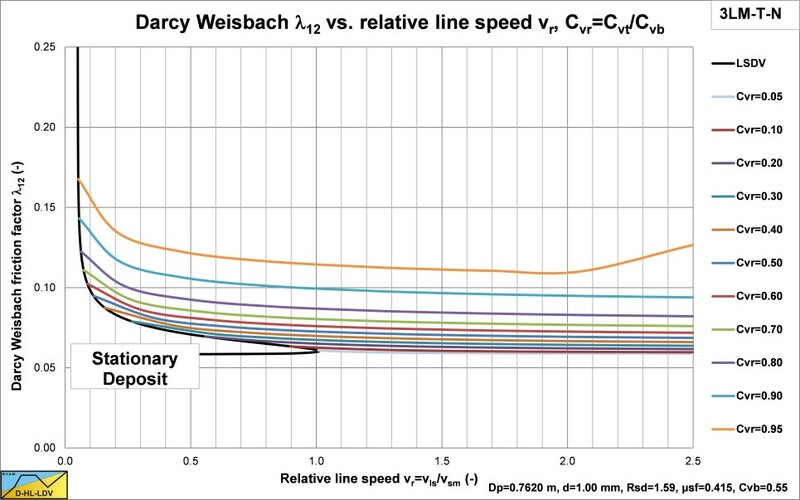 The bed Darcy Weisbach friction factor versus the relative line speed. 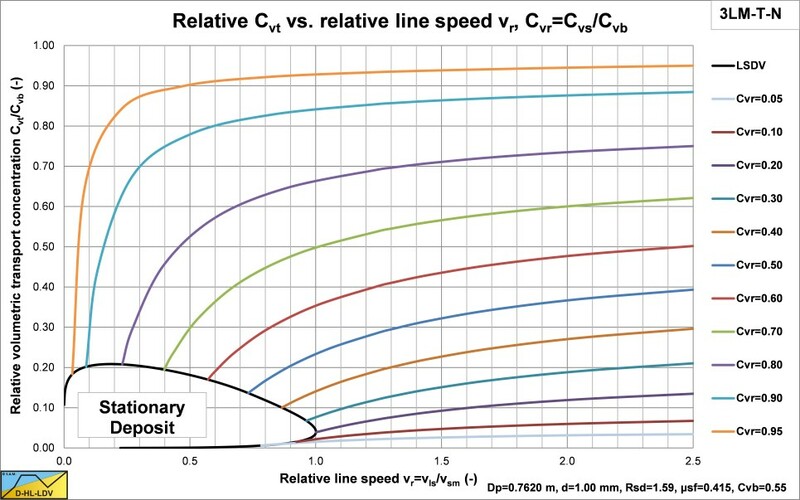 The relative volumetric transport concentration versus the relative line speed. The volumetric transport concentration is relative by dividing by the volumetric bed concentration. 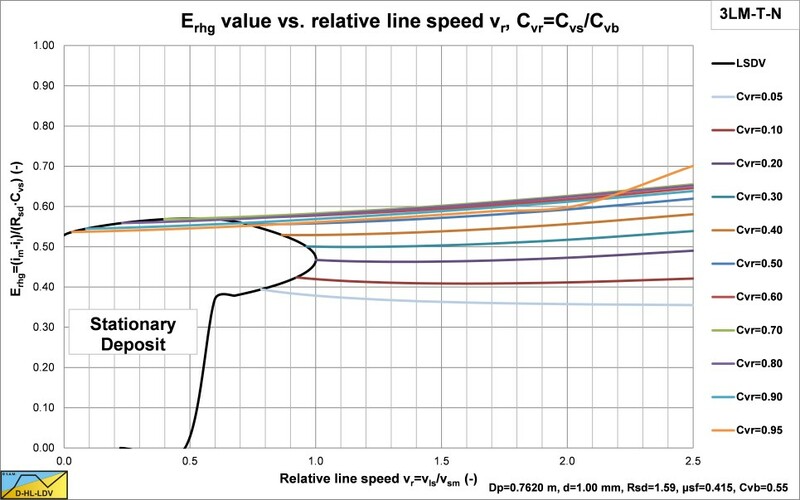 The relative slip velocity versus the relative line speed. 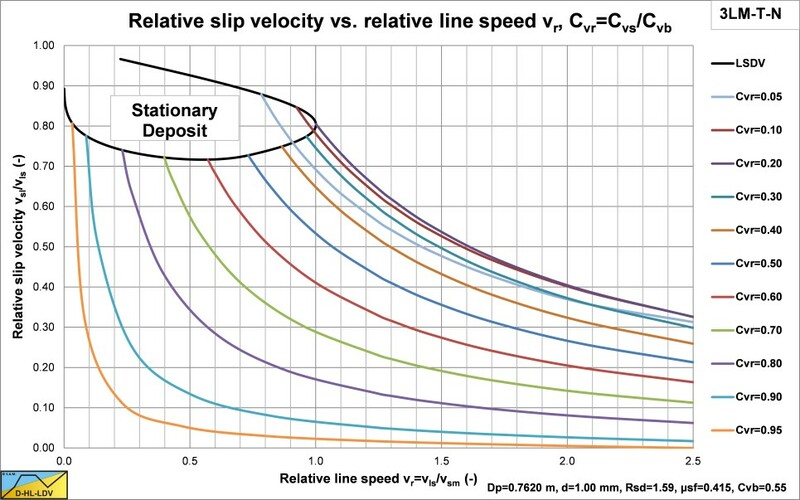 The slip velocity is relative by dividing by the line speed. 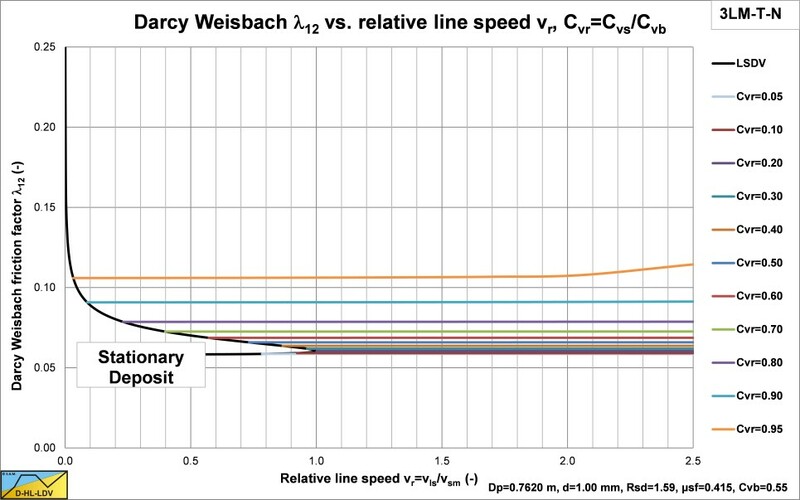 The relative bed velocity versus the relative line speed. 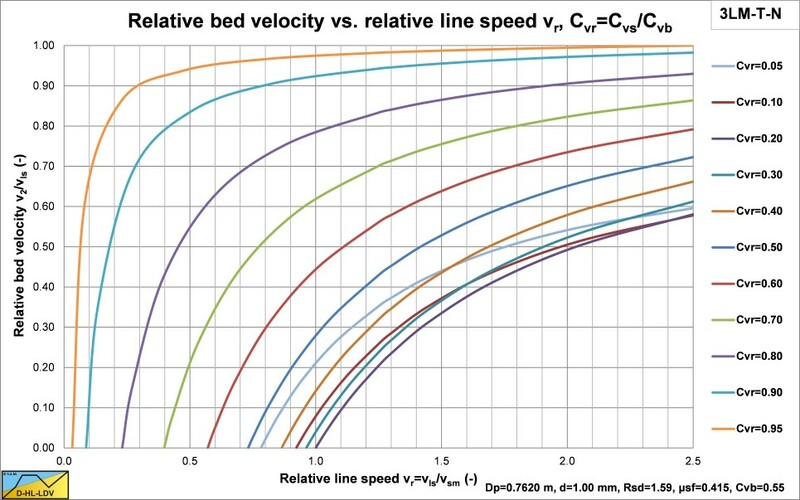 The bed velocity is relative by dividing by the line speed. 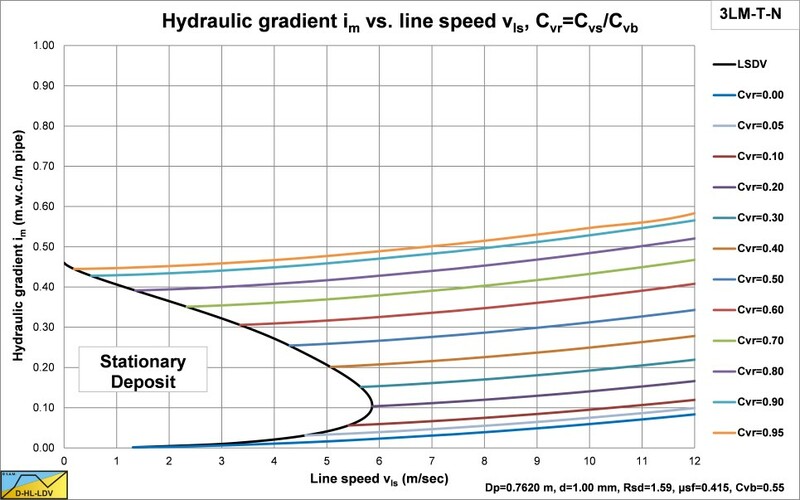 The normalised excess hydraulic gradient versus the relative line speed. 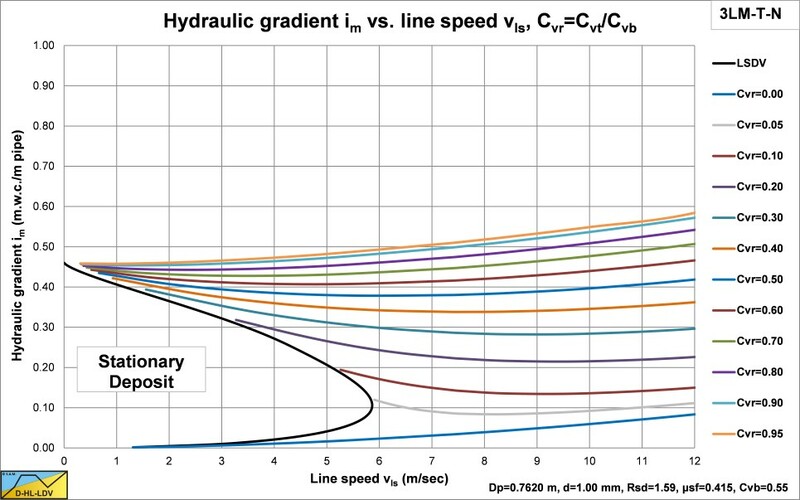 The excess hydraulic gradient is normalised by dividing by the hydraulic plug gradient. 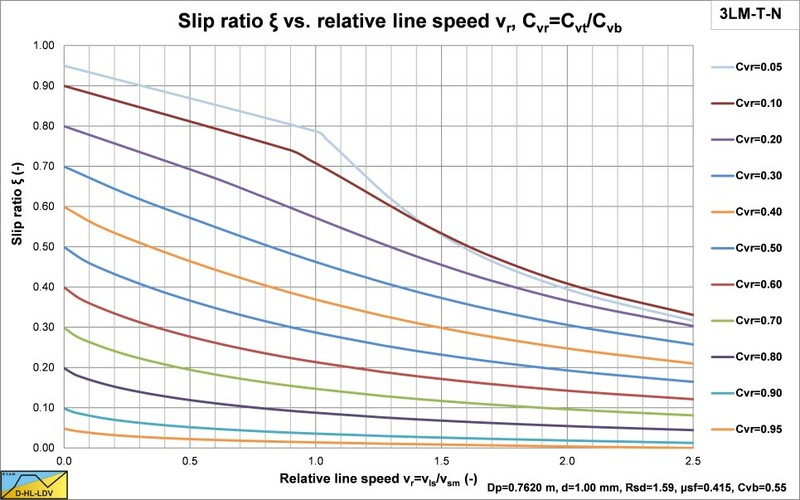 The slip factor versus the relative line speed. 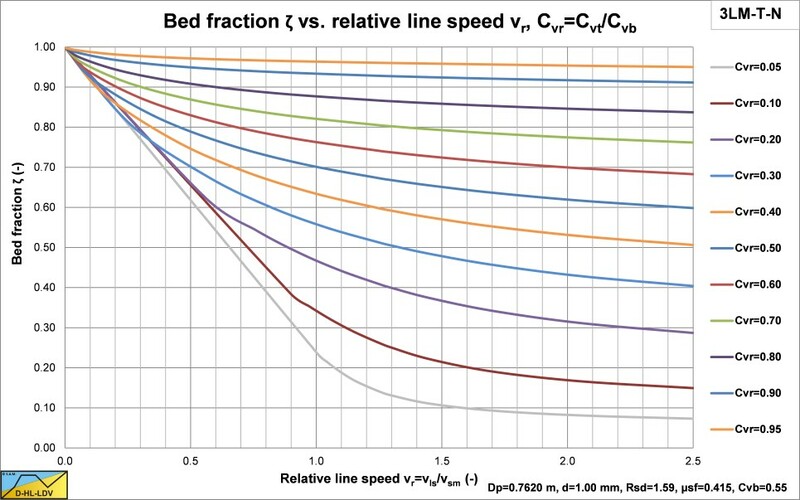 The bed fraction versus the relative line speed.